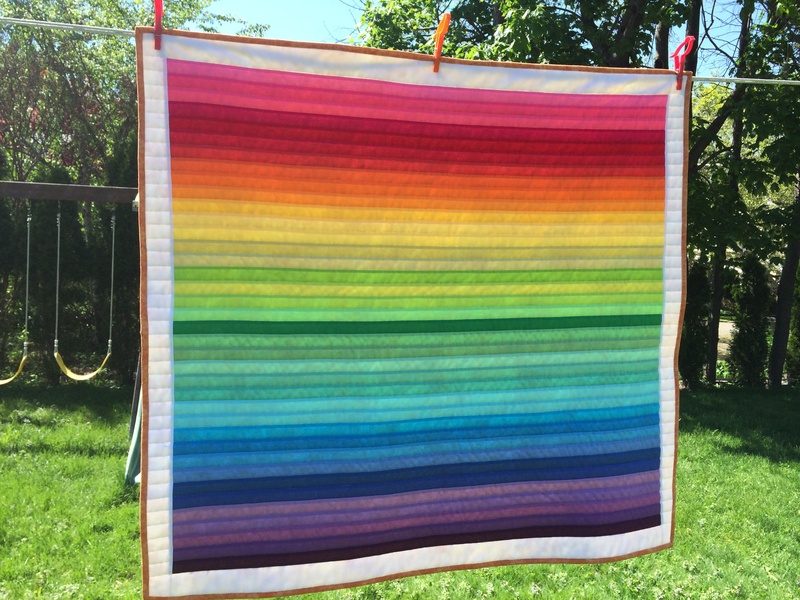 If any of you have been following my Facebook page you’ve seen the rainbow quilt I’ve been working on. It has been a joy since the first stitch and I love everything about it!! It is bright, colorful and so full of life. Very different from all the other quilts I’ve made. Just look at…I can’t stop!! Here’s the back, which my dear friend Teri picked out for me. I wanted something yellow to represent the sun and this jumped out at her. It’s perfect!! 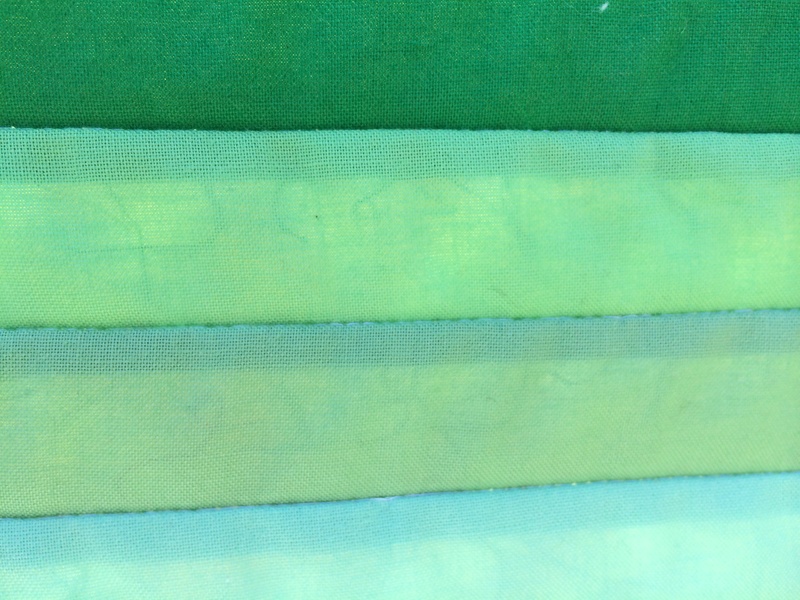 A sun burst batik, could it be better…I’m thinking no!!! 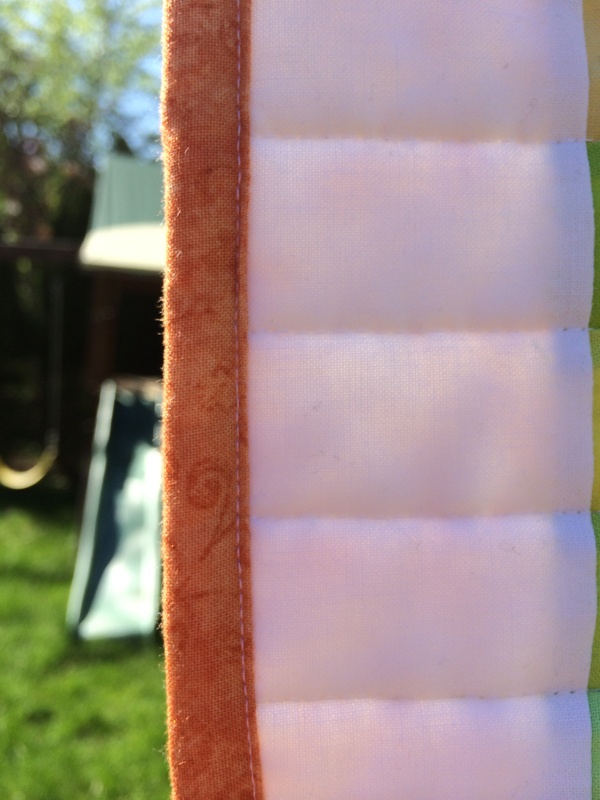 The binding fabric was also chosen for me and is the exact color of many a sunset in our back yard. 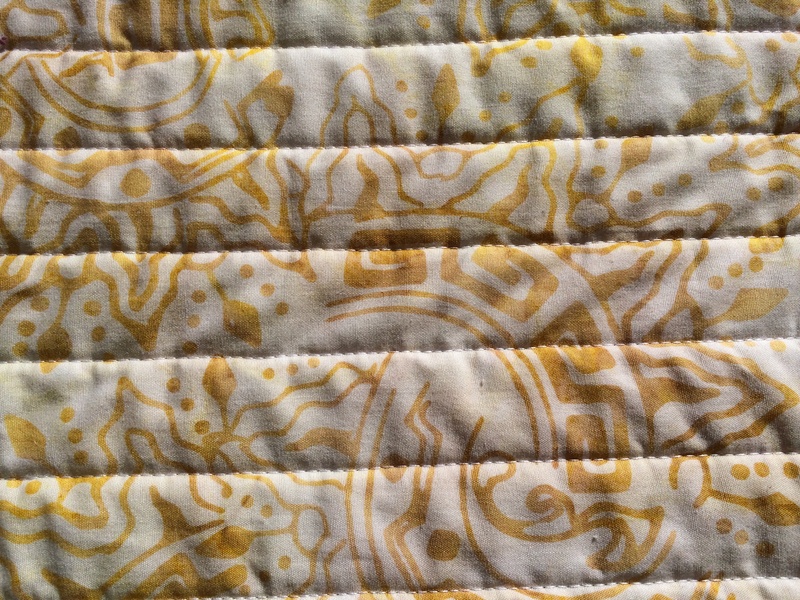 In order to really show off the fabrics I decided on simple line quilting (in the ditch). 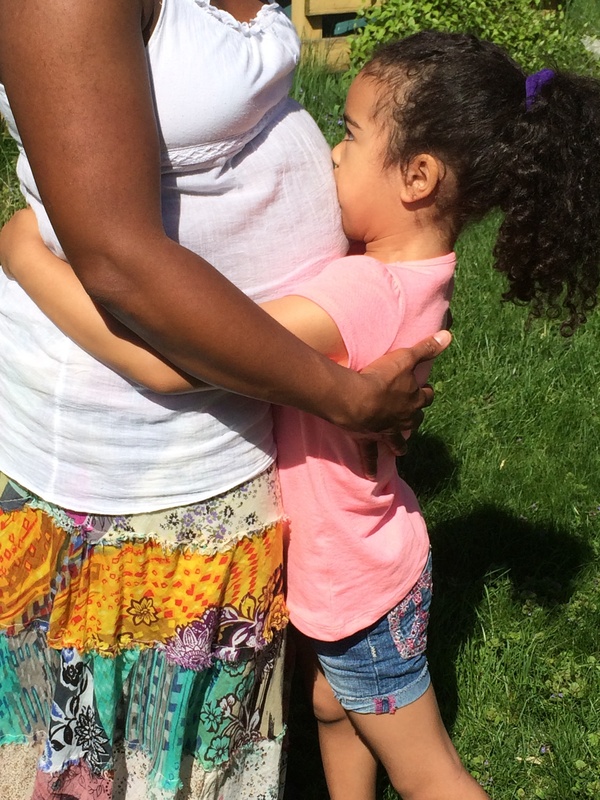 Yes, that’s me and yes that’s Kira kissing my belly which is currently filled with her baby brother/sister. 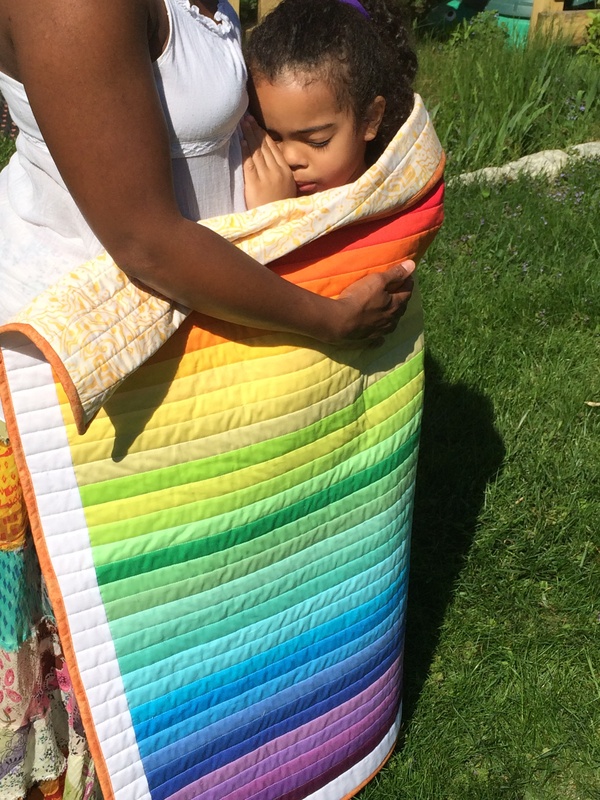 The rainbow quilt wrapped around my almost 2 children!! Happy Mother’s Day to me!!! I’ve waited and waited to share this news and I couldn’t be happier to share it with you today. Maybe now that the cat is out of the bag I can get back to posting. All I’ve been working on is baby stuff. It was worth the wait! What a beautiful blog entry. 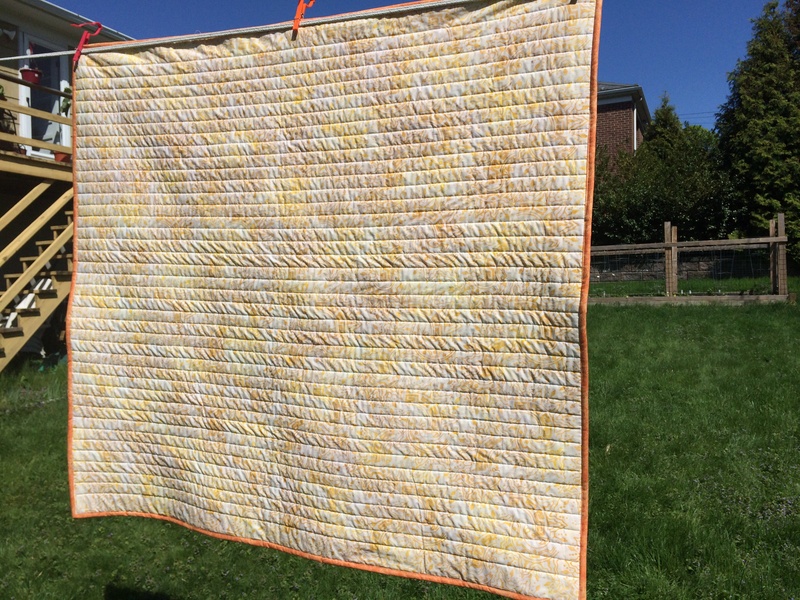 The quilt is simply stunning and so perfect for your new bundle of joy. My heart is so happy for you and your growing family!! Happy Mother’s Day!!! Congrats!! So happy for you! Your sweet baby will be about a month and a half old when mine comes along! So exciting! Congratulations! 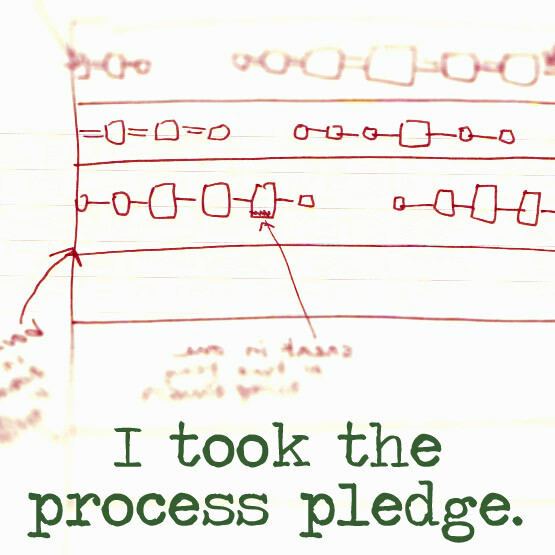 I had a feeling…and am so glad I was right! A special Happy Mothers Day to you Denise!! So happy for you and hubby and Kira being a big sister!! My sister and I are 5 years apart!! Your “belly” looks so precious!! Congratulations my friend!! 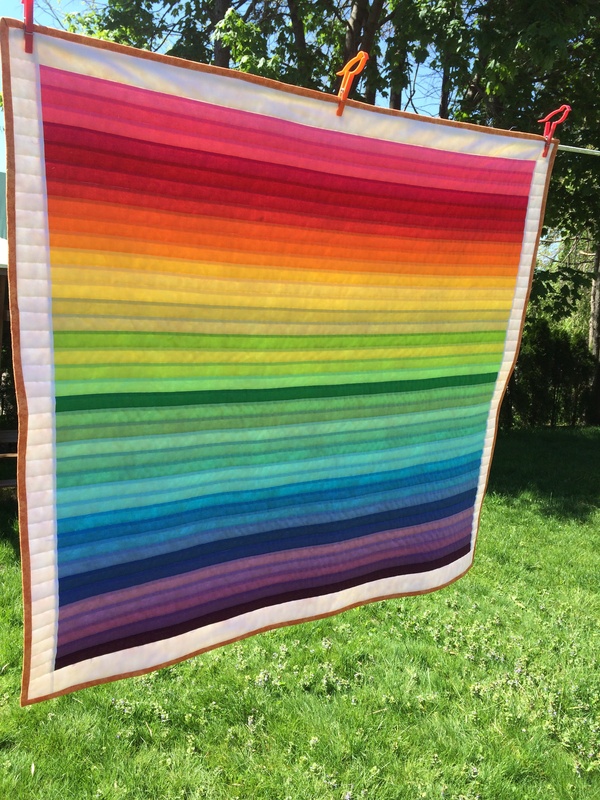 I love your rainbow quilt. So bright and light. Perfect.